A pool swimmers had battled to save at the Welsh Institute of Sport is to close to make way for a judo facility. The decision to shut the pool in Sophia Gardens, Cardiff, has been made by the Sports Council for Wales (SCW). It said the city, where 25m and 50m pools are soon to open in Cardiff Bay, is well served for swimming facilities but has no dedicated judo centre. 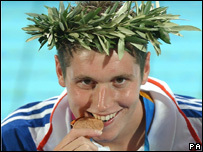 Olympic bronze medal winner David Davies had been among athletes who had called for the pool to remain open. Sprinter Christian Malcolm and badminton player Richard Vaughan had also supported regular users of the pool in their fight to secure its future. In a statement, the SCW said no date had been set for the closure of the pool but that work on the permanent judo facility, called a dojo, was expected to begin early in the next financial year. The Welsh Judo Association (WJA) had long lobbied for a dedicated, permanent training facility in Wales, according to the SCW. With the opening of new pools at Cardiff Bay's International Sports Village imminent, SCW officers had been considering converting the pool at Sophia Gardens into a national dojo. It said: "Cardiff currently has better provision for swimming per capita than any other part of Wales and there are more than 140 swimming pools in Wales as a whole. "However, there is currently no dedicated facility for judo." Stella Walters, from Heath, Cardiff, uses the pool daily and said she was "terribly disappointed" at the decision, adding: "It is a superb venue in a central part of the city." Since the summer, Mrs Walters said 4,500 signatures had been collected on a petition to save the pool. She added: "We are well off in Cardiff for pools but it (the Sophia Gardens pool) is a pool that has the right temperature for serious swimming." The pool at Sophia Gardens was originally built to train Welsh sportsmen and women but is also used by the public. 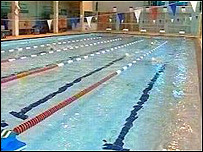 Despite a threat to its future in 2001 with the opening of 50m Wales National Pool in Swansea, it was kept to compensate for the closure of Cardiff's Empire Pool in 1998.